Stagecoach Manchester will host a “Farewell to the B10M” running day on service 192 between Hazel Grove, Stockport and Manchester on Saturday, November 14 with all fares collected going to breast cancer charity Genesis. The route is the same on which the once popular Alexander PS bodied Stagecoach standard vehicle type first regularly appeared in Manchester. The last two “Manchester” Alexander PS B10M vehicles 20982 and 20983 will run on the route as 192 “extras” departing from Hazel Grove and Manchester on the hour between 0900 and 1600. All fares collected on the vehicles being donated to Genesis Breast Cancer Prevention, the Stagecoach Manchester Charity of the Year. Customers are warned however that the vehicle provided for these journeys do not offer low floors or wheelchair access. The 192 service runs at least every 10 minutes between Hazel Grove Park & Ride and Manchester city centre. These buses offer low floor wheelchair access. See the timetable in full here. 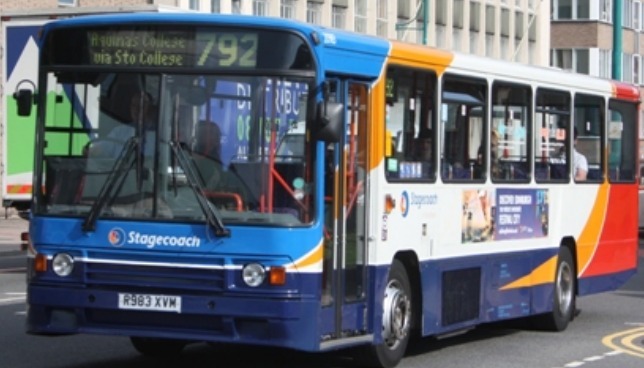 Normal Stagecoach fares apply on B10 service 192 and prepaid tickets will be accepted. However, all revenue taken on B10 service 192 will be donated to Stagecoach Manchester’s Charity of the Year ‘Genesis’ which is the only UK charity entirely dedicated to predicting and preventing breast cancer. The Volvo B10M played an important part in establishing the Stagecoach brand in Manchester. Alongside Volvo Olympian double-deckers, they represented the initial investment by Stagecoach Group after the purchase of Greater Manchester Buses South in February 1996. 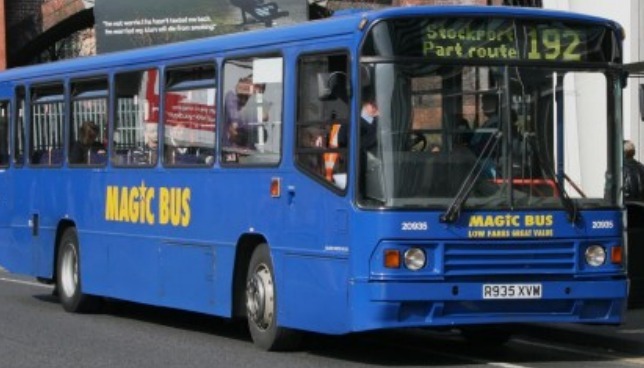 However, the local B10M story starts before that – the once ubiquitous Stagecoach standard single decker first appeared in Manchester in 1994, appropriately on service 192 (Hazel Grove – Stockport – Manchester) when the original Stagecoach Manchester company, then a trading name of Stagecoach Ribble, started to operate the route in competition with the then employed owned GM Buses South. Volvo B6 midibuses were used initially, but growth in patronage soon demanded bigger buses, hence the B10Ms. The next Stagecoach Volvo B10Ms in Greater Manchester appeared when the Ribble operation introduced a batch of new Alexander PS-bodied examples on to trunk service M10 (Manchester – Eccles – Brookhouse). The first Volvo B10Ms for the current Stagecoach Manchester business were based at Princess Road depot for use on the Q-Bus (Quality Bus) network branded services along Wilmslow Road and Palatine Road. The fleet soon grew as significant investment was the order of the day – 196 of the type were bought new for the Manchester operations (numbered 801 to 996) over a period of three years, carrying N, P and R registration year prefixes. The majority had the attractive Alexander PS-type bodywork, but some carried Northern Counties Paladin bodies, with later outwardly identical examples badged as Plaxtons. A small number were transferred in to Manchester from other group companies, two Alexander PS-types from Cambridge, four early model Northern Counties examples (that went on to work as training buses) and three Plaxtons which originated with Stagecoach South. All were delivered in the original Stagecoach corporate livery of white with orange, red and blue stripes. Examples remaining in the fleet in later years were repainted into the current Stagecoach corporate livery. A small number became Magic Buses to work short journeys on service 192 between Manchester and Levenshulme, all but one being Northern Counties or Plaxton bodied. For further information, please visit the StageCoach website.